Can a Mango Enhance a Martini? Don't get me wrong. I adore a classic martini. Frankly, it's probably impossible to go wrong ordering wrong unless you're at a bar that uses jarred blue cheese olives, in which case you need to stop ordering right away and get a gin and tonic. However, once in a while it's good to mix it up. Take this cocktail for instance. Now, I'm the first one to hop onto the bandwagon of angry cocktail enthusiasts who get upset at the bastardization of the word "martini" but sometimes it succinctly describes what the drink is. The espresso martini and the appletini are names that expertly sum up to a drinker what the cocktail is without a description. So it is with the mango martini. It is, a vodka drink made with mango. Simple, clear, elegant. Now you can make this drink with mango juice and it's dandy as can be. 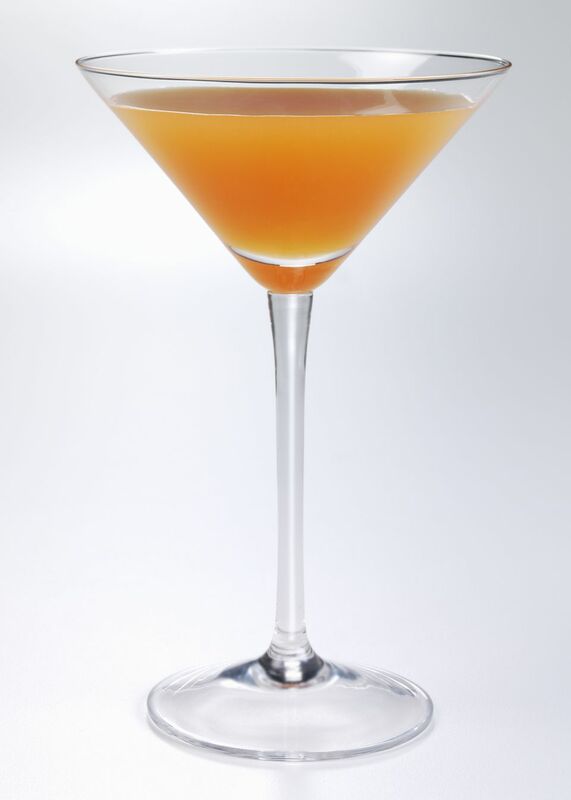 However, using freshly made mango puree will give the drink a lot more body, freshness, and subtlety in flavor. Paired with a bit of orange liqueur and lime juice it's a perfect drink to enjoy alone or pair with a fish-focused meal or when grilling. You can also easy make mango puree by simple dicing up the flesh of a mango and place it in a food processor with a tablespoon of water. Process it all together until it's completely liquid. I enjoy it with the pulp, but feel free to strain it if you want something a little bit smoother. Kent mangoes work well for juicing due to the high juice content. Of course, use whatever mangoes you can find. This post has been sponsored by the National Mango Board. No financial compensation was received for this post. Place the ingredients into a cocktail shaker filled with ice. Shake vigorously and strain into a martini glass. Garnish with the mango or lime if using and enjoy.